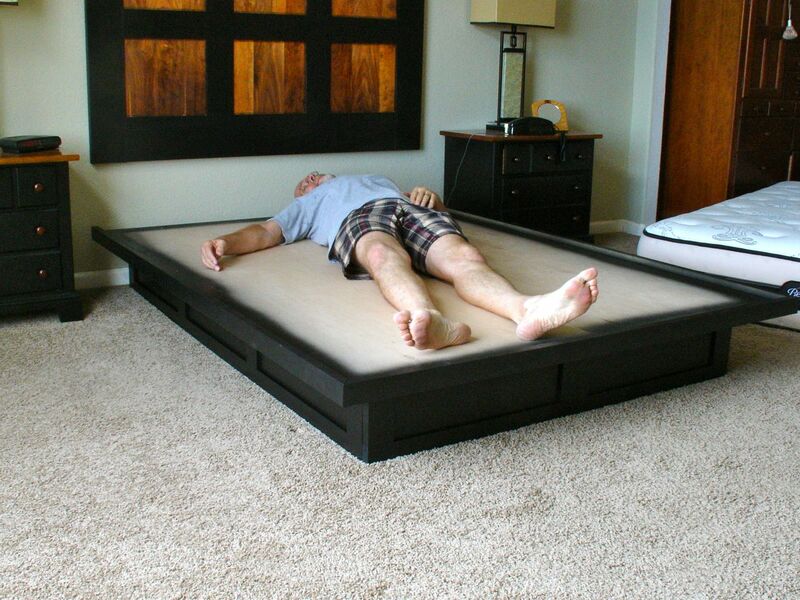 ← Platform Bed, Next Blog and I’ll be in It! Happy to say the bed went together as planned and after a good nights rest I can say the project was a success! There’s always a lot of satisfaction for me personally when projects go as planned and the outcome is what I was after. As I’ve mentioned before I don’t like to paint wood but the existing decor of our bedroom had that going on already. Someday I’d like to replace the bedside tables which were purchased many years ago with my own design. I really like it when tables are suspended from the wall with a French cleat. It lightens them and from a practical point of view they’re easy to vacuum under but —- that’s for another time! I do want to build an entertainment unit for our family room based on that. Let’s get into the installation of this bed. Cleaned out and ready, what a difference in the carpet! One side of plywood then……. Ahhh, it is Finished !!! 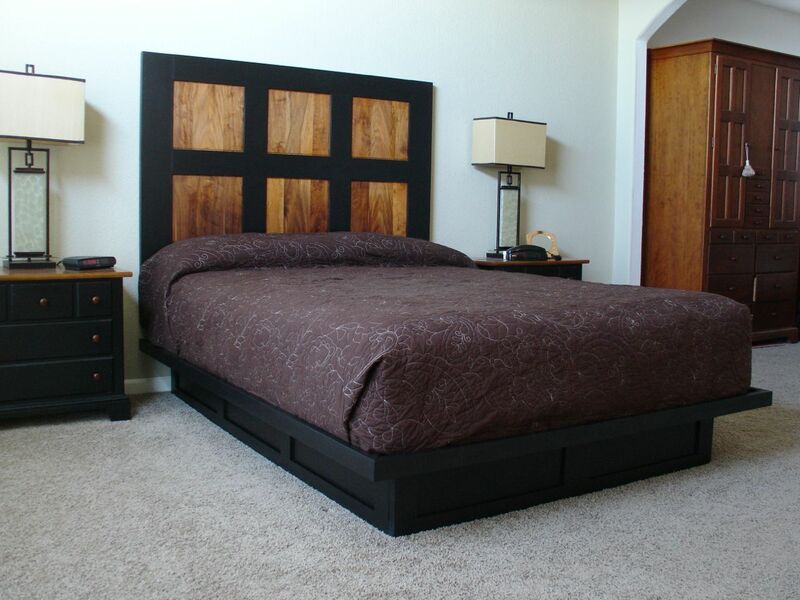 This entry was posted in Uncategorized and tagged painted furniture, platform bed, queen size platform bed. Bookmark the permalink. Very nice. I like the modular design that enabled you to get it upstairs. like you I don’t care for a painted finish but it looks great.